$540.00 In stock - low quantity. Order in the next 3 hours, 38 minutes and it will go out today! In stock - low quantity. Order in the next 3 hours, 38 minutes and it will go out today! Producing coins is very visual, but how can you enhance the appearance? 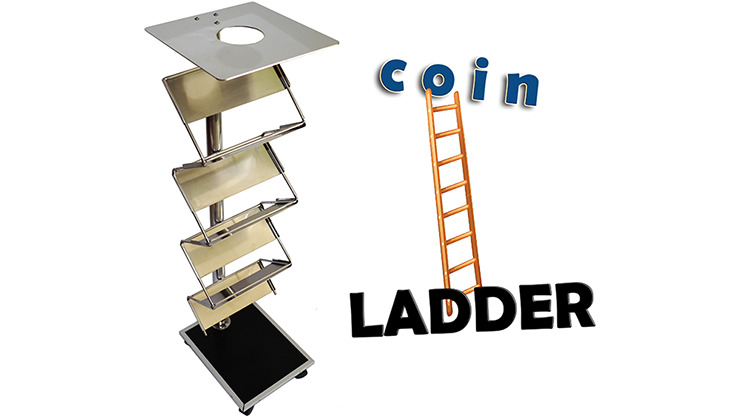 Try this Coin Ladder from Amazo Magic! Now you can mark the appearance of a coin with an auditory experience as each coin clinks and clanks down the coin ladder. Don't settle for just a drop in a bucket when you can create a waterfall of sound with each coin! Enhance your appearing coins routine and buy yours today! It measures 85cm in height and 25cm in width, and it is relatively light. Ideal for small and light coins. Provided with small wheels to facilitate movement. Instructions included.